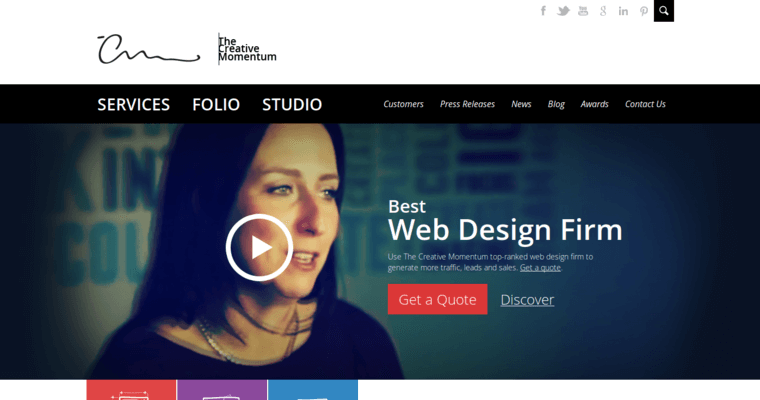 The Creative Momentum is a clever, contemporary web design firm that delights in helping businesses set goals and accomplish them. We know that developing a sound, strategic online marketing plan is the key to attaining great conversion rates, and we put the process in motion by first collaborating with our client. By learning all that we can about the nature and purpose of your brand, we're able to develop information-packed, identity-building websites that outdo your competition and ensure that you develop a prominent, positive online presence. 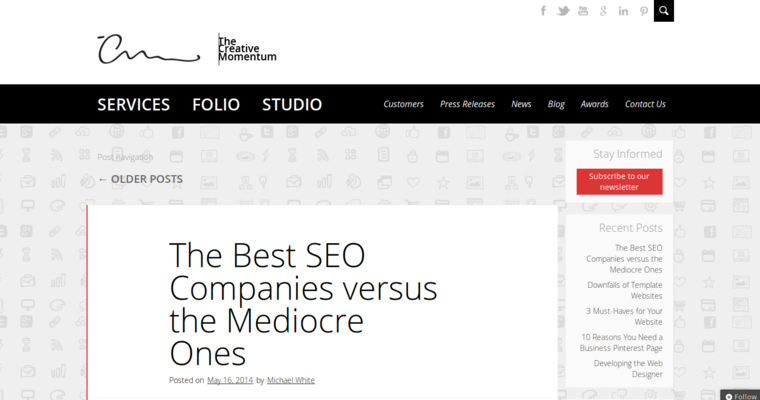 The techies of The Creative Momentum are also marketing experts, meaning that we know which strings to pull so that you attain a prominent ranking in the SERPs of major engines like Google, Bing, and Yahoo. We're personable, we're professional, and we're passionate about the worlds of web design and online marketing. 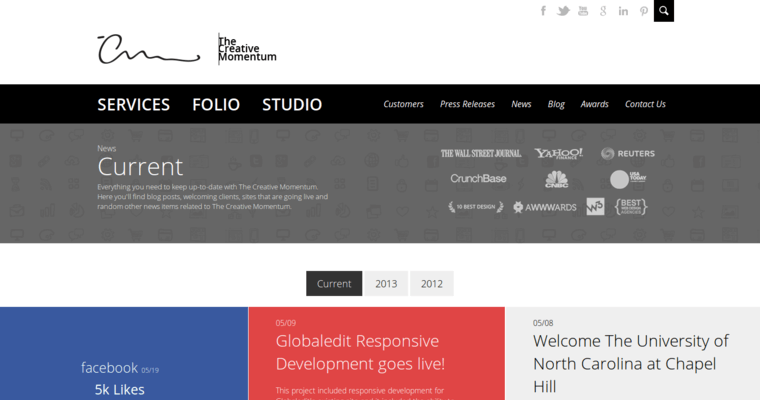 When you're ready to take your brand to a new level of success and sophistication, the professionals of The Creative Momentum are here to help!